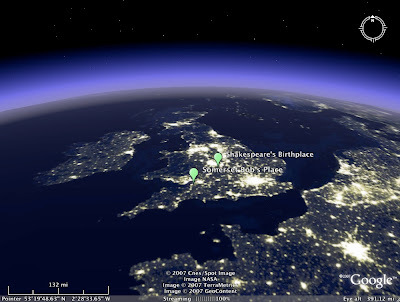 Sky & Telescope: Google Earth @ Night is a great article that taught me how to create these jpegs. 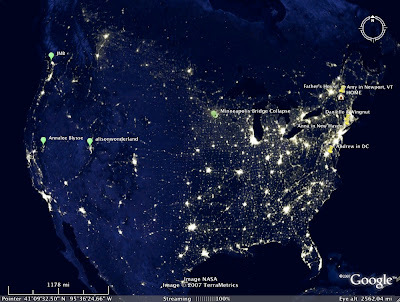 These are views from Google Earth that show light pollution. I seem to live in the most heavily lit area on earth even though it is so dark at night that it can feel suffocating. I also notice that this light seems to be traveling north and west across North America. 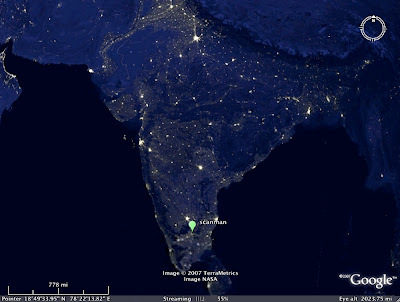 Above is India: not much of a problem at all. Here is Great Britain: another problem area. Be sure to visit the other people who have participated in this challenge!